Jeffrey R. Garvin is a Board Certified Civil Trial Lawyer who has litigated catastrophic injury and death cases throughout the country for over 30 years. During that time period he has tried before juries: cases involving aviation, automobile and boat accidents, medical and legal malpractice, defective products and has achieved multiple verdicts in excess of $1 Million. Mr. Garvin has been a member of the Million Dollar Advocates Forum® since 2004. Beginning in law school Mr. Garvin demonstrated excellence in advocacy by receiving the Best Trial Lawyer Award. That tradition has continued throughout his career and in 2005 he was selected by his peers for inclusion in The Best Lawyers in America ® in which he has been listed in each successive year. He is also listed in Law and Leading Attorneys and selected for inclusion in Florida Super Lawyers ® continuously since 2006. Additionally, Mr. Garvin has achieved an AV® peer review rating from the Martindale-Hubbell group; this is their highest possible rating. Mr. Garvin is the past president of the Florida Chapter of the American Board of Trial Advocates, a past president of the Calusa Inns of Court, Past President of the Edison Community College Endowment Corporation, and Past President of the Sanibel-Captiva Rotary Trust Fund. He has served on the Board of Directors of the Academy of Florida Trial lawyers for 14 years chairing virtually all of their committees. 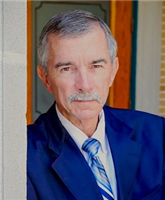 Mr. Garvin has lectured extensively to numerous legal associations including the Academy of Florida Trial Lawyers, the Association of Trial Lawyers of America, the Georgia and South Carolina and Maine Trial Lawyers Associations. He has published numerous articles and was a co-author of Trial Advocacy: The Official Handbook of the Academy of Florida Trial Lawyer.